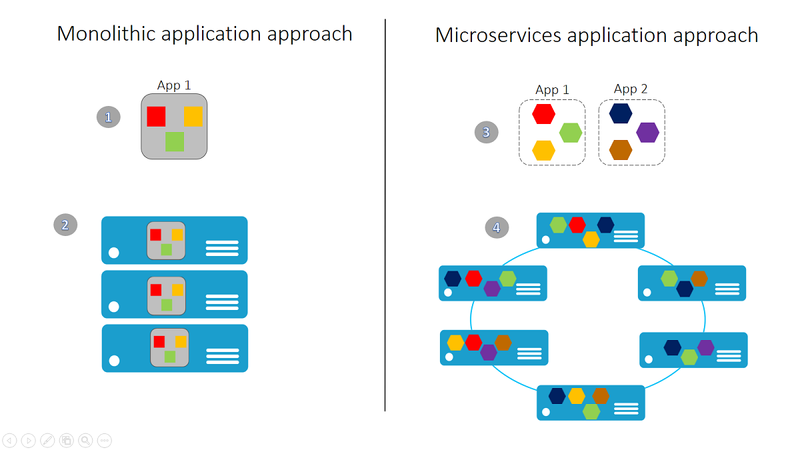 More simply, microservice architecture is an architectural style that structures an application as a collection of loosely coupled services that each facilitate businesses services. It not only enables the continuous delivery and deployment of complex applications, but it allows you to scale applications by service. In a microservice environment, you can add a realtime reverse proxy instance (like Pushpin) to listen for instant updates from other microservices without the need for a centralized message broker. Each microservice gets its own realtime proxy instance, and microservices communicate with each other via your organization’s own API contracts rather than a vendor-specific mechanism.